We investigate the impact of germanium oxide (GeO2) doping on the linear and nonlinear properties of photonic crystal fibers. We propose some design rules allowing a strong enhancement of the Raman and Kerr nonlinearities with little impact on the fiber dispersive properties. 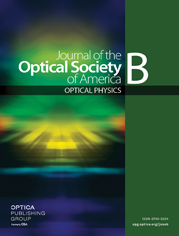 It is experimentally and numerically demonstrated that using GeO2-doped core photonic crystal fibers allows a significant enhancement of the soliton self-frequency shift as compared to pure silica photonic crystal fibers with comparable dispersion. We found that the high nonlinear coefficient (due to a good mode confinement) obtained in the GeO2-doped core fiber plays a more important role on the soliton self-frequency shift enhancement than the intrinsic Raman gain. a f R and h R ( t ) were calculated such that g R max ( SiO 2 ) = 8.3 × 10 − 14 m / W , g R max ( GeO 2 ) = 13 × 10 − 14 m / W . Numerical values of g R and γ are recalled at a wavelength of 1308 nm .